Welcome to your cheering section! At Evergreen, our only interest is helping you see brighter days ahead. 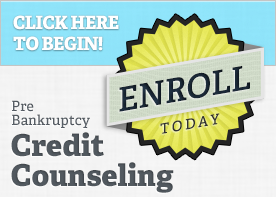 Our credit counseling and debtor education courses provide a fresh view of all the financial options and resources available to you. Get started today. Finding the right person to discuss sensitive financial issues can be overwhelming. Nothing helps to lessen the burden more than kindness and understanding. Our internet and telephone courses allow you address all your concerns in the privacy and comfort of your own home. If you feel hopeless about your financial future, you may have forgotten that there are thousands solutions to every problem. Never lose faith in your remarkable ability overcome any financial challenge, big or small. Step 1 - Set up your account. Step 2 - Complete your counseling session. Step 3 - Receive your certificate the same business day. Take our fast and informative US Trustee approved Credit Counseling class and we’ll send your required certificate of completion straight to both you and your attorney! 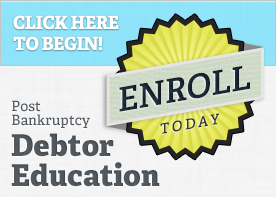 It’s time to take your required post-bankruptcy debtor education class! As usual, your certificate of completion is sent to both you and your attorney.